Another TDB-only inventory. These same items was actually sold a few weeks ago at the beginning of January. You can also test your luck with an Exotic gauntlet Engram! We have reviews for each of the Exotic gauntlets. 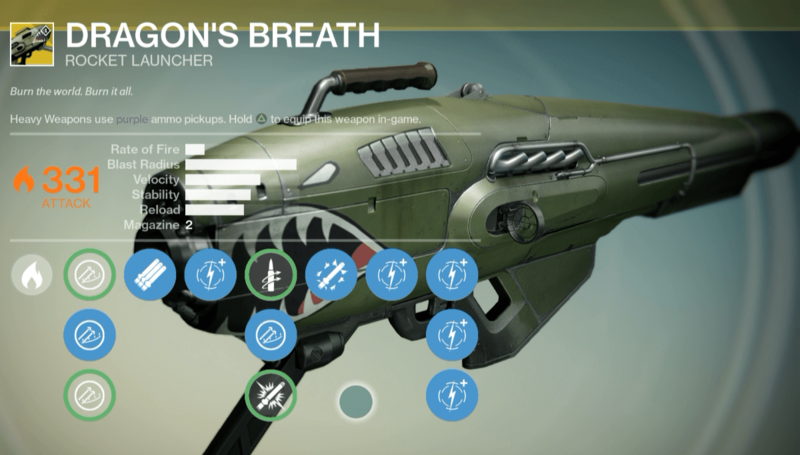 We have a fully upgraded review for this weapon as well as an Exotic rocket launcher comparison! 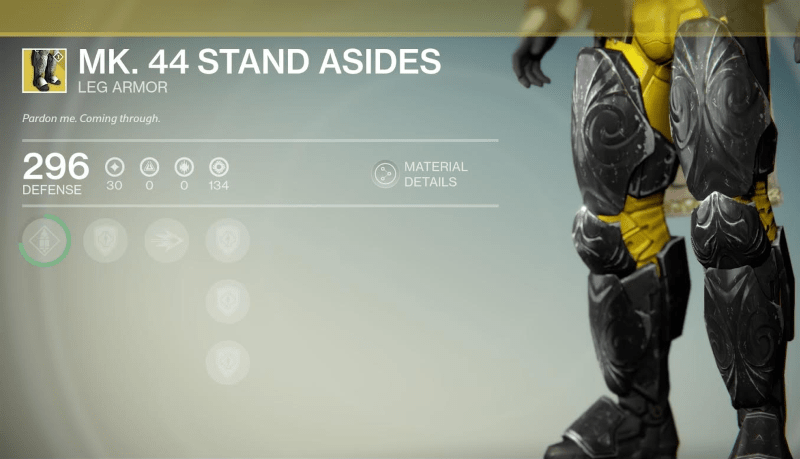 The first pair of Exotic Titan boots (introduced with The Dark Below) are on sale yet again! Peregrine Greaves are coming with the House of Wolves. These boots have 134/144 Strength, more than the last time they were sold. 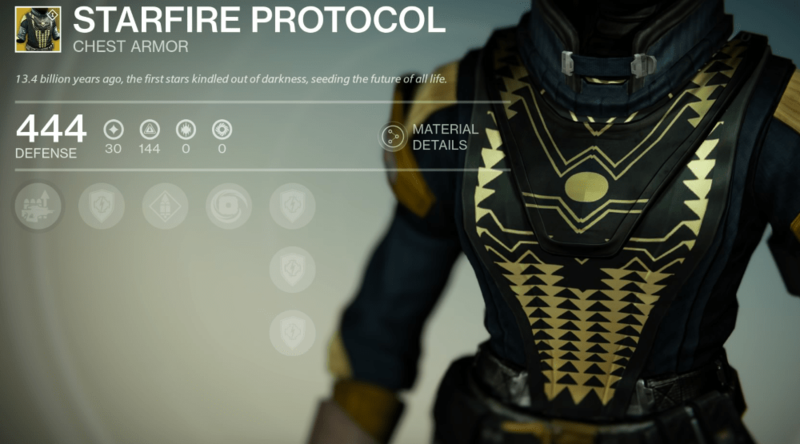 We recommend an Exotic helm, chest, or gauntlet instead of the boots. Test your luck with the Exotic gauntlet Engram, but know that both of those are better for PvE than PvP. Starfire Protocol was also introduced with The Dark Below expansion and was sold just last week. This chest piece has 134/144 Intellect – slightly more than the last time it was sold. Touch of Flame allows your Fusion grenades to always ignite enemies, and in PvP this will help finish off anyone who you failed to stick the grenade to. Double this with Viking Funeral for extra ignite damage. An Exotic gauntlet Engram could reward you with the Claws of Ahamkara as well. 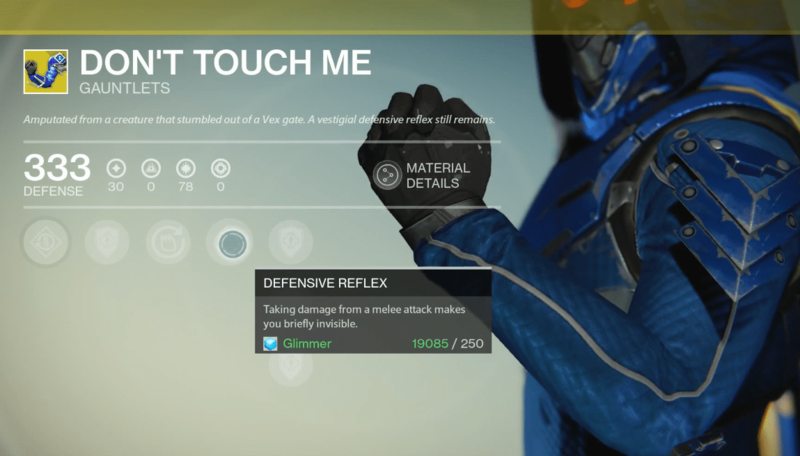 The Don’t Touch Me gauntlets were also introduced with The Dark Below and are extremely useful in PvE. Ikaheka’s Hooks are coming with the House of Wolves. These gauntlets only have 76/82 Discipline, lower than the last time they were sold.